If you have a low credit score there is one thing that can make the difference with a car loan, and that's a down payment - the bigger, the better. Although it is possible to find automobile financing with 0 down, even for people with bad or no credit. A credit score is in the 700's may qualify for no down payment auto loans. But even if you do, you still want to have a down payment. If you have poor credit and need a car, one of the questions you have to ask is how much money down you'll need for an auto loan. One of the keys to successful loan approval is being aware of the requirement that some car lots with no down payment have, which is to come up with a down payment. However, bad credit car loans with zero down can still be yours when you apply with AutoNet Financial, because we don't always require a big down payment. There are plenty of ways to qualify for a lower interest car loan such as a trade in, cosigner or using a special lender. For example, buy and pay here dealers and tote the note car lots are known for offering zero down payment car loans with no credit checks to people, but their interest rates tend to be higher. Car buyers with low credit should keep in mind that down payments are not roadblocks in the way of their car loan. This is just a stipulation that companies that finance car loans have to ensure the loan will be paid off, while also helping the borrower lower their rates. Lenders look at it this way: when it comes to subprime auto loans with no money down, especially during the first half of the loan when more is owed on the vehicle than it's worth, it is much easier for customers to walk away from their obligation. If those same people had invested $5,000 of their own money in a down payment, they would be more likely to keep making payments. And while most lenders don't usually require this much of a down payment, if you want a better-than-average chance of securing an auto loan, you should be prepared to put down anywhere from $1,200 to $2,000 either in cash or in real trade equity. It lowers your monthly payment. Every dollar you put down incrementally reduces your monthly car payment. The larger your money down, the lower your monthly payment will be. A no down payment can allow you to shorten the loan term. 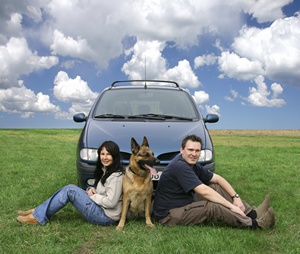 Instead of lowering your monthly payment you can reduce the length of a bad credit auto loan. By choosing a shorter loan term, you also decrease the "window" of time in which the car is worth less than the loan payoff - known as "negative equity." No matter which option you choose, a down payment reduces the amount of interest that you'll pay. This is especially important with the higher interest rates of certain lenders, but it also lowers the money you'll pay the bank even if you have good credit and you qualify for a 0 down payment vehicle loan - money that might be better used for paying down your other debts or even buying that flat screen TV you've always wanted. The bottom line is this: whether you are considering a regular auto loan or a car loan for credit problems the results are the same - a down payment helps reduce your interest expenses and will allow you to trade out of your loan sooner since you will have more equity in the vehicle to begin with. We have 20 years of practice in special finance and work directly with special finance car dealers and the leading automotive financing lenders throughout all of North America. The knowledge and expertise we have gained through years of bad credit car loan financing enables us to give you the best assistance possible for your personal situation.